One day after Japanese financial newspaper Nikkei issued its annual iPhone component panic story, the Wall Street Journal published its own hand-wringing coverage of the state of iPhone X, just two days before Apple is set to deliver financial results for the holiday quarter. Beyond simply floating the same rumored cuts, the new report tacks on an additional false claim that has already been publicly rebutted by Apple's executives. 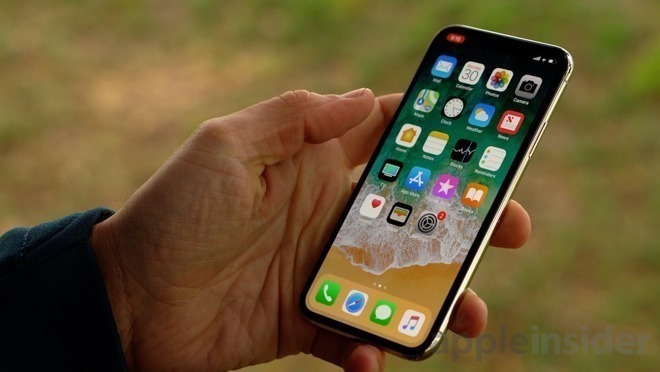 Yesterday, AppleInsider outlined the consistent history of misleading supply chain check reports by Nikkei, ostensibly describing a deep slashing of component orders for new iPhones in the face of "disappointing" (iPhone X), "sluggish" (iPhone 7) and "piled up" inventories (iPhone 6s), despite these dubious stories failing to ever provide any real insight into actual sales in previous years. Today, the Wall Street Journal generated its own version, with odd new embellishments. Writing for the Journal, Tripp Mickle repeated, based on unnamed sources he described as being "familiar with the matter," that Apple "is slashing planned production" of iPhone X "in a sign of weaker-than-expected demand." Mickle initially cited copycat numbers: a 50 percent cut from "roughly 40 million initially planned" to "about 20 million," before casually adding that "other people familiar with the iPhone supply chain said Apple had cut orders for components used in the iPhone X by 60 percent." It would appear that one of those sources is considerably less "familiar with the matter" than the other, because the difference in cutting 50 percent or 60 percent of such a target would be a difference of 4 million phones in three months, or about 2.6 times the total number of Pixel phones Google sold globally in the entire year of 2017--and at iPhone X's entry price, that would be a difference of at least $4 billion in revenue. 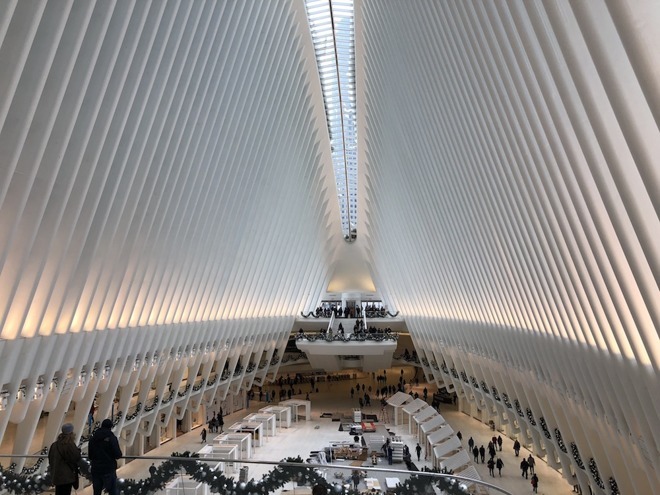 That's a tremendous of margin for error for the Wall Street Journal to throw out as "maybe" figure differentiating two sources who are both supposedly "familiar with the matter," equivalent to the price of the construction of the massive "Oculus" World Trade Center transit hub and retail mall in New York City. Alternatively, perhaps neither source is actually "familiar with the matter" at all, given their absurd starting assumption that Apple actually expected to produce and sell 40 million iPhone X units in the March quarter, given that for the last two years Apple has sold around 50 million iPhones in total, at an average selling price that's around two-thirds the price of the entry-level iPhone X. As if comically framing a satirical story for The Onion, Mickle cited "one of the people" as nonchalantly explaining that "they always do this when things aren't selling well. It's a real headache." Remember all the times that Apple introduced a product that wasn't selling well? It seems like its "always" happening. What a "headache" it would be as a supplier to lose 4 million orders in the space of a quarter. Imagine the headache for HTC if Google lined up Pixel orders through 2020 and then abruptly canceled them all on a whim because it didn't seem like they were selling. Strangely enough, while two major financial newspapers have now claimed that Apple has actually slashed orders for 20 million units (that would be over 13 years of 2017 Pixel sales, or more than all the Microsoft Surface, Amazon Alexa, Samsung Galaxy Gear and Android Wear devices ever sold) of iPhone X in just this quarter, the implied reduction of manufacturing volume hasn't triggered any apparent collapse in Apple's supply chain. Our previous report noted Austrian component maker AMS AG, which builds iPhone X optical sensors to adjust brightness and color and support facial recognition, as having just raised its revenue outlook on rising demand for its sensors in phones, according to a new report by Thyagaraju Adinarayan for Reuters. iPhone X is described as having two year lead in the area of facial recognition--something no other high volume phone even offers yet--so a slashing of Apple's planned component orders by 20 million units over three months should have been devastating for firms specializing in those very components, rather than a cause for raising revenue outlook. "The increase," Reuters stated, "will likely allay concerns that weak iPhone X orders are likely to persist through the first half of 2018." In Japan, another iPhone X supplier, Murata Manufacturing Co., has also "not seen its orders drop commensurately with the sharp fall in the iPhone X production target stated in a report," according to a separate report by Yoshiyasu Shida, also for Reuters. When asked about the Nikkei rumors of component orders slashed in half, Murata's vice chairman Yoshitaka Fujita replied, "our understanding is that it is not that great." It would seem that the CFO and the chairman of two iPhone X component suppliers would certainly be "familiar with the matter" of such a major change in orders by a client with the huge market impact Apple has. Even more oddly, the Wall Street Journal actually cited a Murata representative who secondhandedly "quoted Vice Chairman Yoshitaka Fujita" as saying that "the figure sounds a little bit bigger," and also, cryptically, "but we know that there are talks of cuts." Quick! Somebody put Apple's actual suppliers in contact with these "people familiar with" what's actually going on in the supply chain! They could be in for a real, well, headache, particularly if the Wall Street Journal 60 percent people are more familiar with matters than the Nikkei 50 percent people. The Wall Street Journal didn't just liberally throw out contradictory supply chain conjecture as factual production data based on clear reasons (explicitly stated as being a sign of "weaker-than-expected demand for the pricey handset"). It also tried, at the same time, to repaint the picture crafted earlier in the year of iPhone X being a hopelessly befuddled project Apple faced serious problems even assembling, let alone finding an adequate supply of various components. "We spent no time looking at fingerprints on the back or through the glass or on the side" - Apple's Dan Riccio, three months prior to the WSJ's clearly false new claim that Apple did spend time "looking at fingerprints," which "led to delays" and "forced Apple" to switch gears "in the manufacturing process"
"iPhone X was promoted as the smartphone of the future," Mickle wrote, "with features including a sharp, organic light-emitting diode display and facial-recognition technology." He added, "but troubles incorporating the new technology led to delays in the manufacturing process, and forced Apple to abandon the use of fingerprints as an option to unlock the phones." 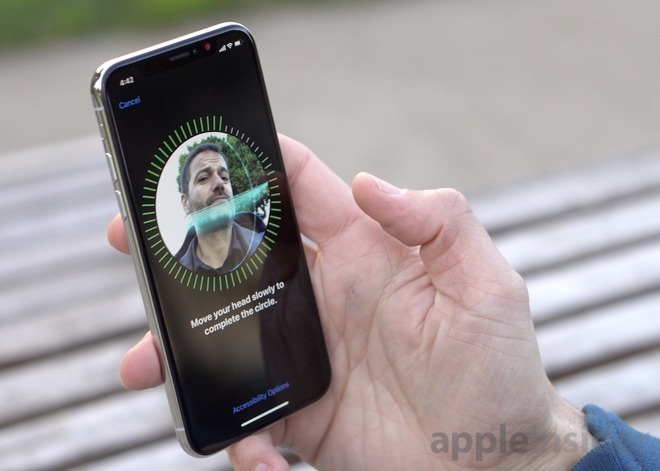 Back in September, John Gruber of the Daring Fireball asserted that "Apple has been all-in on Face ID as the replacement for Touch ID for over a year now," indicating that all of the rumors that Apple had experienced "troubles" that forced it to abandon an under-glass fingerprint sensor throughout 2017 were unfounded. In October, Apple's top hardware executive went on the record as saying there had been no fumbling attempts to try to get Touch ID working once Face ID was deemed to be a viable technology, and that that decision was made well in advance of the manufacturing ramp of iPhone X, as Gruber had surmised. In an interview with TechCrunch, Dan Riccio, Apple's senior vice president of hardware engineering directly addressed the rumors that had persisted throughout 2017 about Touch ID supposedly being embedded in the iPhone X display: they were all bogus. "I heard some rumor [that] we couldn't get Touch ID to work through the glass so we had to remove that," Riccio said. "When we hit early line of sight on getting Face ID to be [as] good as it was, we knew that if we could be successful we could enable the product that we wanted to go off and do. And if that's true, it could be something that we could burn the bridges and be all-in with. This was assuming it was a better solution. If the Wall Street Journal isn't familiar with the matters that Apple unequivocally and publicly established three months ago, how informed can it possibly be about supply order details? "And that's what we did. So we spent no time looking at fingerprints on the back or through the glass or on the side, because if we did those things--which would be a last-minute change--they would be a distraction relative to enabling the more important thing that we were trying to achieve--which was Face ID done in a high-quality way." If the Wall Street Journal isn't familiar with the matters that Apple unequivocally and publicly established three months ago, how informed can it possibly be about supply order details sourced by people who are supposedly "familiar with the matter" but who are offering details fully at odds with both Apple's actual component suppliers, as well as other Journal sources who are supposedly also "familiar with the matter" offering wildly differing figures? The Wall Street Journal previously echoed Nikkei channel check stories before as work it had independently sourced. In 2013, after the Nikkei claimed Apple had slashed iPhone screen orders in half, the Journal similarly added its own embellishments based on false rumors swirling around the new iPhone 5c. Under the initial headline "Apple Cuts iPhone 5c Orders," a Journal report by Lorraine Luk, Eva Dou and Ian Sherr outlined supplier cuts specific to the 5c that it defined as being less than 20 percent at Pegatron and "one-third" at Foxconn. The article didn't outline how many iPhone 5c models Apple had been planning, or how many it had intended to build at launch or throughout the quarter, or if the changes were planned in advance or in response to production yields. Instead, the financial journal simply speculated that the undefined "reduced orders" could be "fueling concerns about weaker-than-expected consumer demand and the company's pricing strategy." By the end of the day, the paper had changed its headline to "Apple's Dual iPhone Strategy in Doubt," shifting the narrative to focus on the idea that Apple's plan to "broaden its appeal with a cheaper version of the iPhone [...] appears to be faltering after a few weeks." The revised story cited an executive from Orange as saying that the new iPhone 5c "isn't selling as well as expected because it is too expensive, and the older iPhone 4S remains an attractive, cheaper option," an apparent contradiction of the report's core suggestion that a cheaper version of the iPhone isn't actually broadening its appeal. Orange didn't detail of how many units it was selling of each iPhone model, and the Journal didn't explain how it might be better for Apple to be selling more iPhone 5c models, which would either come at the expense of the high-end iPhone 5s or the lower end iPhone 4s. At the same time, data estimates from CIRP indicated that Apple's best, most expensive model made up the majority of sales (64 percent), while iPhone 5c was second at 27 percent and lower end models were a distant third, making up less than ten percent of the sales mix. Effectively everything the Journal had reported as factually sourced by people in the know was simply dead wrong rumor mongering. Perhaps Mickle lacks the background to report on channel checks involving Apple's extremely complex supply chain, given that he only joined the Journal in 2014, coming from a background of "several years reporting on the business of the Olympics, NASCAR, hockey and soccer for SportsBusiness Journal," and covered "alcohol and tobacco industries from the newspaper's Atlanta bureau" before taking on the job of covering Apple for the paper. And yet this is how we get rumors of impossibly incredible order slashing that appears and is then forgotten about just days later.